I need regular inspiration to simplify my home and life. Reading minimalist blogs first inspired me. Wanting to live with less stuff and lead a less stressful life I started by decluttering small areas of our home. Nearly three years later we've successfully downsized to a smaller family home. We live on a much smaller income, and although this has its own pressures, we are much happier with our work/life balance. I don't miss either the material things I've given up, the size of a larger home or the extra hours I worked in order to pay for it. As you'll see from my sidebar I'm still an avid reader of minimalist and frugal living blogs. I continue to feel inspired by motivated people who live simple yet purposeful and happy lives. I want to learn more from people who are choosing to live with less, who manage their finances carefully and who make a living following their dreams. Now sitting on the other side of the fence and writing about minimalism I receive wonderful comments from readers who are seeking inspiration to simplify their lives. Sharing my simplifying journey and my thoughts on minimalism via this blog inspires me daily and your feedback is very much part of that. Thank you for encouraging me to write this blog is, I suppose, what I'm trying to say. 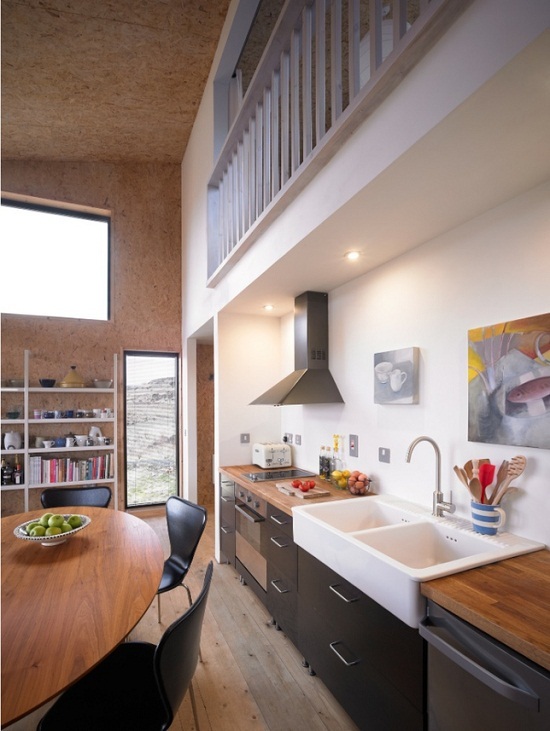 On this theme, I thought today I would show you a truly inspiring simple living dwelling that you may not have seen before. 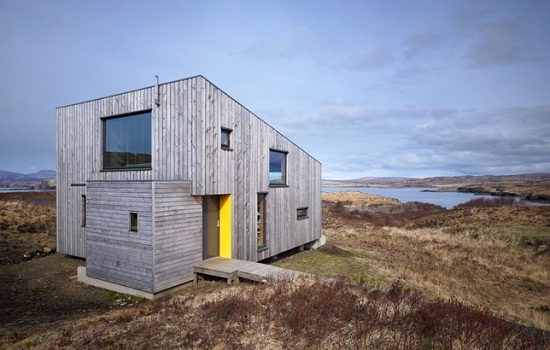 Hen House is a small holiday home on the Isle of Skye. 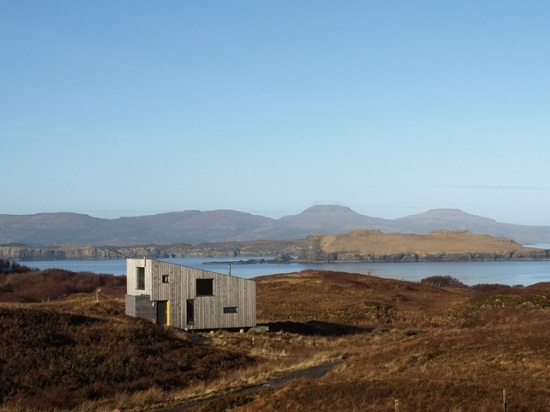 With amazing views and an eco-friendly award winning design (Rural Design Architects) it stands alone. However, I'm showcasing it because its actual interior is very plain. 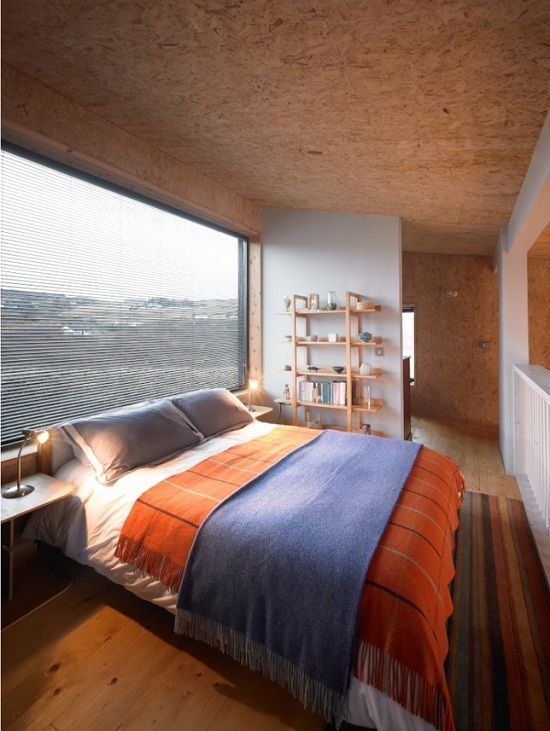 It has enough furniture to make it practical and functional and enough detail through colour and accessories to make it visually warm and inviting. It has a calm, cohesive and understated vibe. Take away the setting and exterior design and I still find it inspiring. 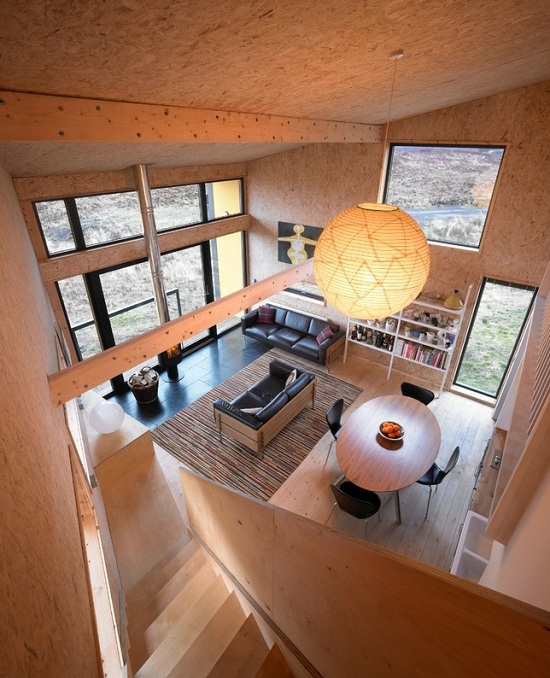 Homes like this are beyond the dreams of most of us but they can still influence how we live. Hen House makes me want to declutter my home further and make it more streamlined. It reminds me that I want to live a simpler life with time to enjoy the outdoors, read, cook good food and just be. I hope it inspires you too. See and read more here. What first inspired you to simplify? Please share. Thank you for this post, that building is AMAZING. I've loved the idea of minimalism for a long time but the latest spurt I got after returning to Finland after volunteering in Northern Ireland for a year. Unpacking about 50% of my belongings from the storage made me realize how much materia there is that I've managed to live without for a full year (and 50% is still in the storage...). So I've tried not to buy much this year and continuously decluttered and sold unnecessary things on Facebook to friends who have more use for them. Hopefully someday there'll be just a fraction of this all left. What an amazing house, in such beautiful surroundings. The Hen House is lovely Claire - thanks for sharing. Thank you also for your posts on all topics related to living a simplified life as I also like to be inspired by others who are taking that particular path.I have found that yours is one of the few I turn to every day - even if I don't always comment! I was first inspired to simplify by the perfect storm of quitting a job I didn't like, deciding to pay off our debts, getting wedged between a table and tv unit because I was so fat and finally accepting that I was a hoarder. All of these things are interlinked so to deal with one meant dealing with the others by default. I started to clear stuff out and realised I was really tired due to being overweight so having a tiny food budget meant we didn't buy junk. Eating better meant I slept better and had more energy to deal with more stuff. Dealing with that meant I felt better emotionally so things were better in my relationship with DH. When we communicated better we dealt with money better so paid off the debts faster. And on and on and on it goes! All the changes were positive so why wouldn't I carry it further? It was only afterwards I started reading simple living and minimalism blogs (I had the time now I wasn't dealing with the stuff) and that's taken me even further. Love the Hen House btw. I have seen this property before but it is nice to revist it. I have discovered your blog recently and it is pleasure to read and browse it. I started my simplify journey three years ago but I am moving very, very slowly. I started to simplify because I felt overwhelm in our house. Surrounded by too much stuff, a lot that I didn't like and other that we weren't even using... I see the progress but I know I still have a lot to do... I love this post because in the pictures of the house you can still see many things... This is for me a comfort as yes, you can tend to be minimalist and still have "things". Become minimalist doesn't mean you have to get ride of everything but the bare minimum... Thanks for sharing this, it makes me feel reassure on my own path and gives me inspiration.